In early 2019 Katie will launch her newest book, 'MINDFUL LIVING, Everyday practices for a sacred and happy life' published by Rockpool. The book is about the application of 'sadhana' in our lives. Sadhana means ‘conscious spiritual practice’, and it really has little to do with what you’re doing on the outside and everything to do with what is going on inside. For example drinking a cup of tea is a sadhana if it is done with gratitude and elegance; such as we see in the exquisite Japanese tea ceremonies. Sadhana can be applied to anything you do that is uplifting and elevates you beyond the mundane or selfish. Sadhana is always anchored in ahimsa (non-violence, or kindness), because for a practice to be spiritual – filled with spirit – it must not harm another. Sadhana means to act, to do something, to be in the world yet deeply connected to your spirit. In this book, Katie focus' deeply on yoga practices and philosophy as well as activism, and the rhythm of the seasons according to ayurveda. Katie will encourage you to light candles and create alters as an awakening of magic and mystery. 'Mindful Living' is a tool for growth and transformation, where we come to expect the unexpected and intuition starts to arise in our lives. 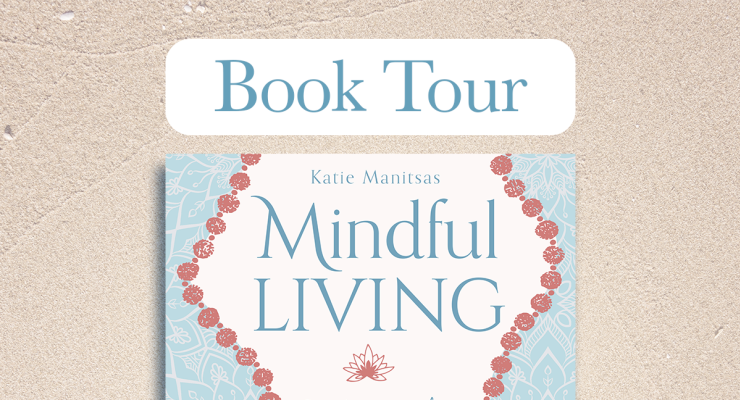 The mindful living book tour session includes a FREE class with Katie Manitsas. The yoga workshop which is asana based (gentle and suitable for all) includes pranayama, meditation and relaxation and lasts for 1 hour, followed by a book reading and signing.